GIVEAWAY & REVIEW! Laura Geller new releases have me swooning! 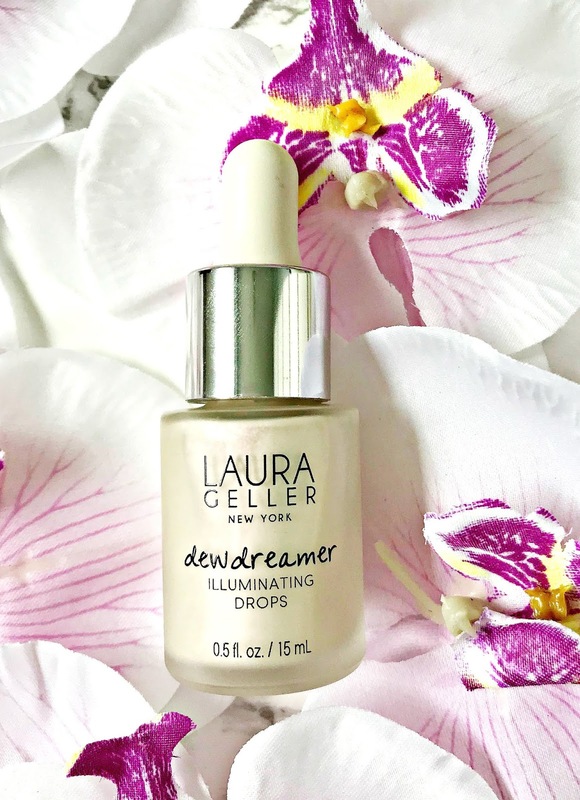 As I've mentioned before on the blog, Laura Geller is a brand that I grow to love more with every product that I try! Therefore you can imagine how thrilled I was to receive a parcel of the latest releases from the brand! There are new face palettes, lipsticks, lip glosses, liquid highlighters and blur sticks - all so beautiful that I didn't know where to start! 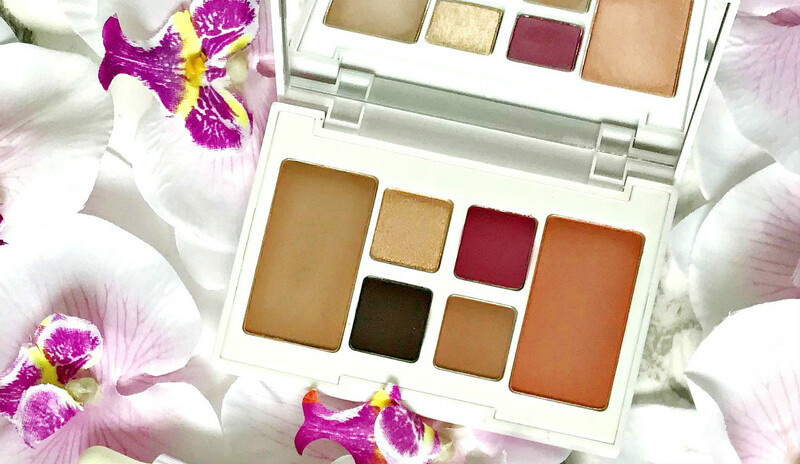 Luckily, I was sent two of the face palettes so I'm delighted to be able to do a giveaway with the second one because, believe me, you will want it in your life! Stay reading to the end of the post for details on how to win! Dewdreamer Illuminating Drops: There are four shades available in this liquid highlighter and I was kindly sent Diamond Dust, which is a pearlescent pinky-white shade. This is the runniest highlighter that I have ever tried so I personally wouldn't use it in the traditional highlight way, however I find that it works really well either under my foundation or mixed with my base product. It adds a beautiful 'lit from within' look to the skin but if you want to up the ante, you can carefully apply a small amount over foundation to the high points of the cheekbones and then top that up with the matching Baked Gelato Swirl Illuminator. A little goes a long way with this so this 15ml bottle will last forever! £21. Barely There - a mid-toned shimmering pink. Blushing - a mid-toned pink with a hit of mauve with a shimmering finish. Coastal - a muted peach with a shimmering finish. Bikini Bottom - a mauve-toned plum with a creme finish. 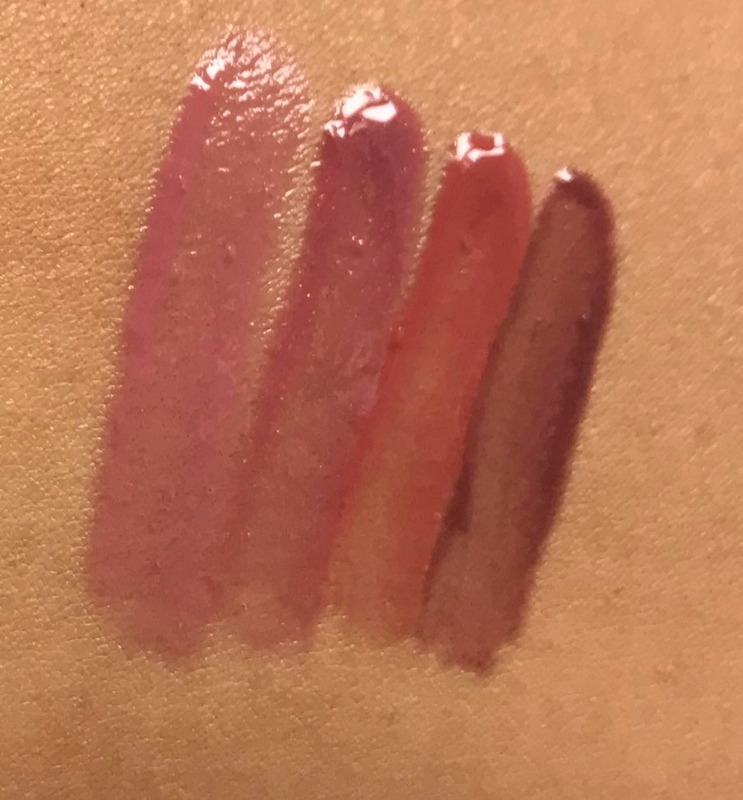 All four have the same, light caramel scent and are pigmented, which is unusual for glosses. 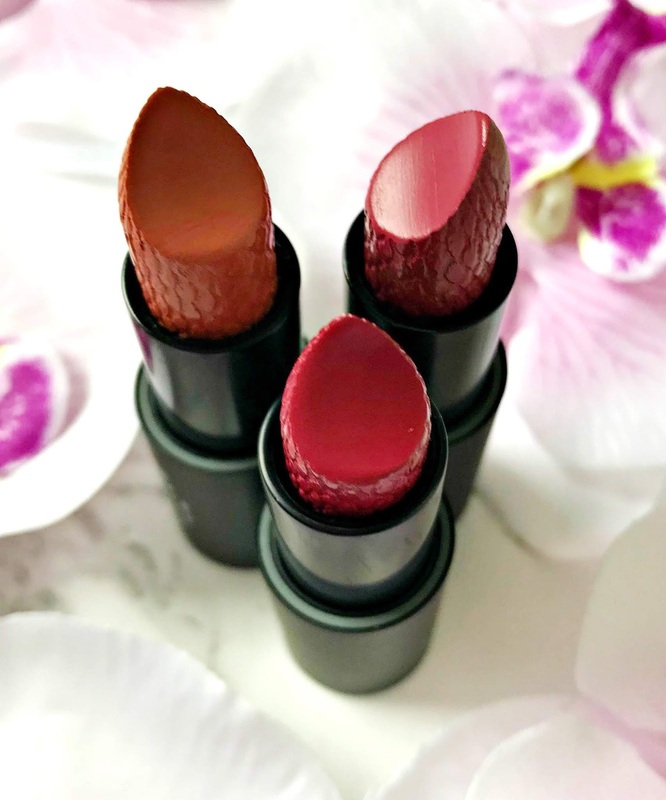 My summer lips are covered with these shades! £16. Tribeca Tan - a terracotta with a satin finish. Mulberry St - a ruby red with a satin finish. East Side Rouge - a plummy red with a satin finish. 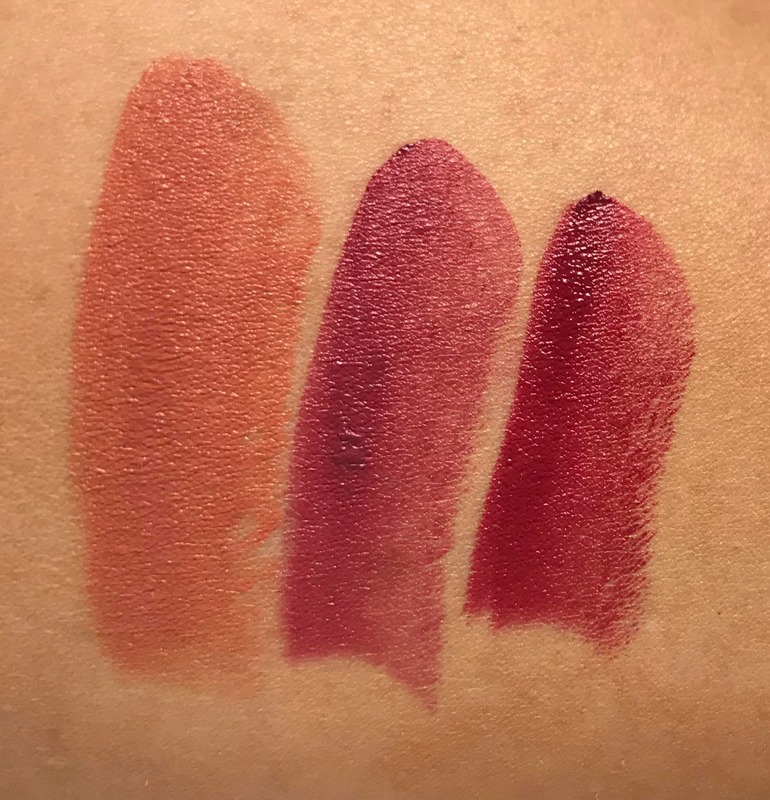 These are some of the most comfortable lipsticks that I have ever worn. They last around 4/5 hours on the lips before they need re-applying although at that point, there is still a stain on the lips. Cabana - a light gold shimmer, which is soft to touch, finely milled, smooth and easy to apply. Popsicle - a matte berry that feels a little powdery to touch, but applies evenly and can be built up. Sandcastle - a matte medium brown. Smooth, pigmented and easy to work with. Bonfire - a deep brown with a plum shimmer running through it. Pigmented, slightly powdery to touch but easy to work with. On the left is Vitamin Sea, which is a neutral bronzer that isn't very pigmented, but can be layered and on the right is Summer Solstice, which is a warm coral blush that is shimmery but not glittery. It's flattering on my medium skin and I think it will be even more beautiful when I have a little colour in my cheeks over the summer months. 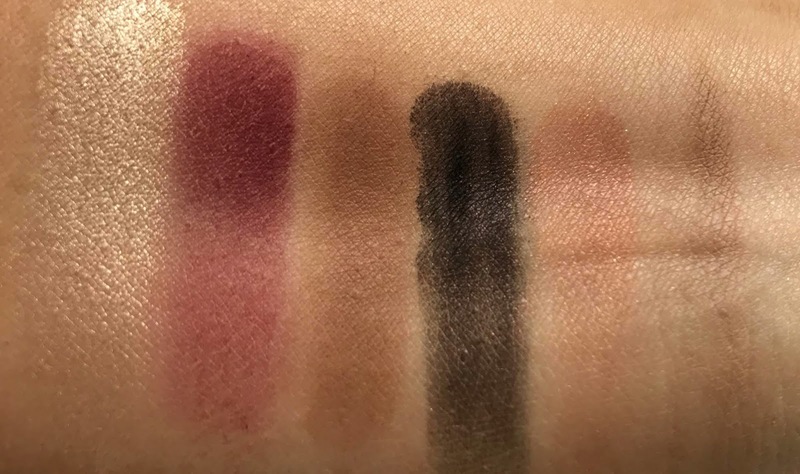 It also contains a little guide card with suggestions on how best to use the 6 products, which is helpful if you aren't very experienced in using more than 2 shades on the eyes. Overall, it's a great little palette - perfect for weekends away! I'm quite tempted to buy the Southampton palette as those shades would be perfect for my summer holiday! £32. All of these Laura Geller products can be purchased from Debenhams, Cult Beauty, Look Fantastic and Beauty Bay. 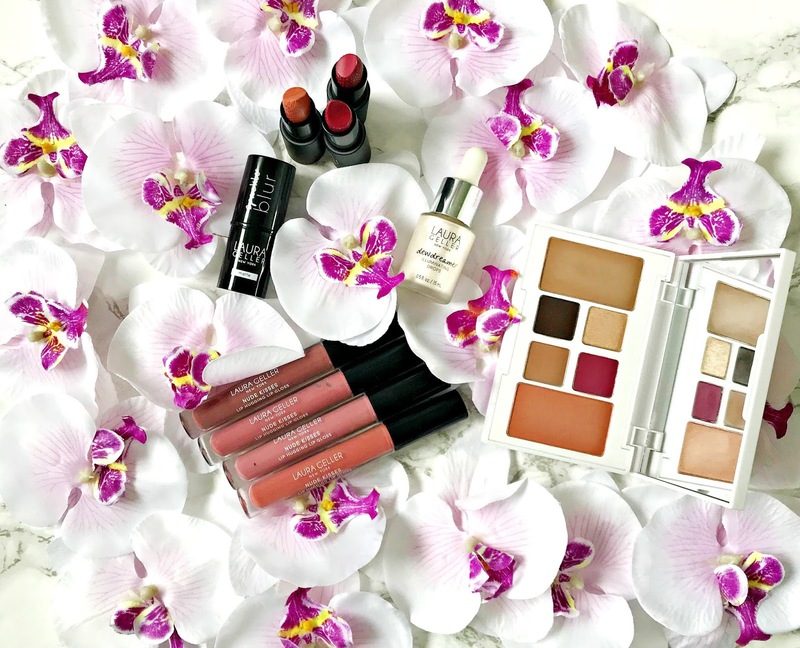 Do you want to win the Montauk Escape Face Palette? The rules are simple. There are 4 mandatory steps - all of which are detailed in the Rafflecopter widget below. You must follow Beautylymin on Bloglovin, Twitter and Instagram and you must tweet the giveaway link. All of the links are in the Rafflecopter widget. If you leave any section empty or with NA, your entry will be deleted and if you follow/unfollow, your entry will be deleted. There are a number of ways to earn extra entries: love this post on Bloglovin, comment on this post telling me which product from the new releases is your favourite, leave a relevant comment on any other blog post, like and comment on the Instagram photo and tag two friends on the Instagram photo (this option can be done daily). These are optional but all are worth five extra entries each. The giveaway will end on June 8th at midnight and the winner will be chosen via random.org. I will then contact the winner who will have 48 hours to respond to my mail. If the winner does not respond within 48 hours, they will be disqualified and another winner will be chosen. If you are under 16, you must ask the permission of your parent/guardian to enter as you will have to disclose your address. This giveaway is open internationally. There is no cash alternative or substitution available. The prize is a Laura Geller Montauk Escape Face Palette. I cannot be held responsible for any customs fees/charges however I will mark the parcel as a gift. Best of luck! All products are bought by me, unless otherwise stated. All of these products were kindly sent to me! Opinion is always my own. How to buy luxury skincare for less! Feel like a treat? 3 products for 3 budgets! I need your product recommendations! Celebrate National Smile Month with Janina! 5 products that I'm currently loving!